I recently became aware of the health benefits of molecular hydrogen/hydrogen. We subsequently have written numerous blog articles on the subject (see resources section below), and elected to carry and endorse several products, including Active H2 and Megahydrate™. As a scientist, I am particularly impressed with the science behind Megahydrate, as well as the in-depth research studies carried out showing how it was developed and its health benefits. For economic reasons, it is rare for a particular nutritional supplement to have in-depth scientific studies and clinical trials supporting its use. 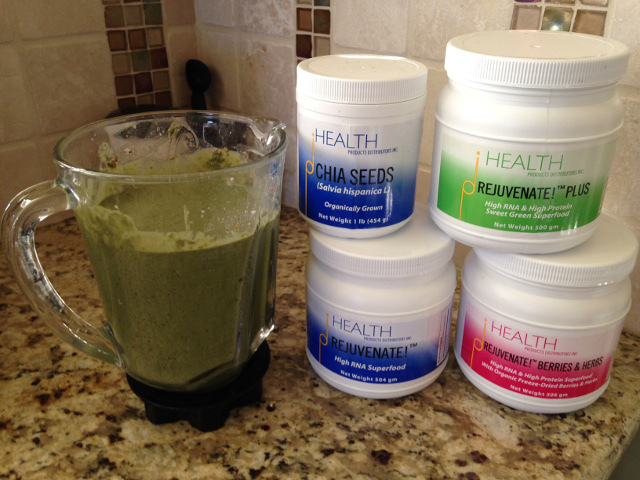 In this article, I will present some of the most relevant scientific information regarding Megahydrate. In a previous article “Water, Hydration, and Crystal Energy®” I discuss in-depth the science behind Dr. Patrick Flanagan’s use of nanometer-sized silica colloids to enable greater hydration of the body, enhanced absorption of nutritional ingredients into cells, and improved cellular detoxification. 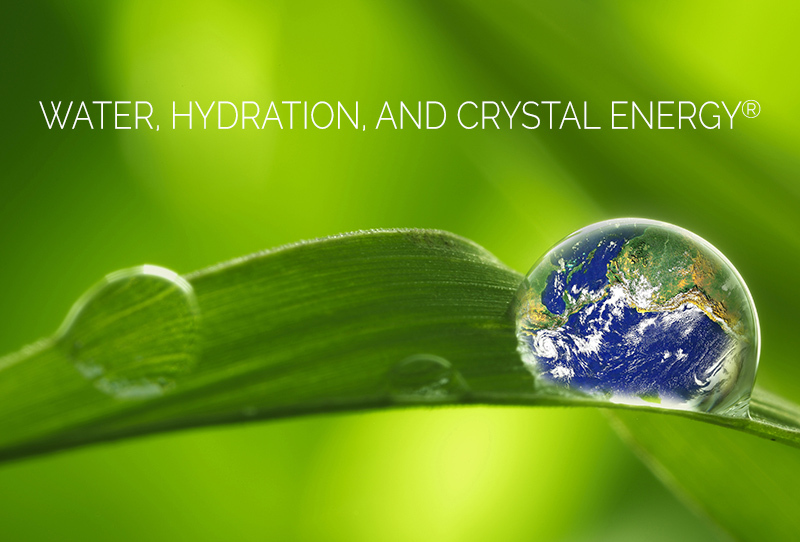 In this article I will discuss the science and benefits of embedding hydrogen anions (hydride or H-) into these same nanometer-sized silica colloids that not only have all of the hydration benefits of Crystal Energy® but also exhibit potent antioxidant characteristics. The resulting substance is named by Dr. Flanagan “silica hydride” and his product that incorporates it is known as Megahydrate™ (originally Microhydrin™). The science behind the development of Megahydrate is provided below. The details of the materials development are provided in an article by Cory J. Stephenson and G. Patrick Flanagan titled “Synthesis of Novel Anionic Hydride Organosiloxane Presenting Biochemical Properties” published in the International Journal of Hydrogen Energy 28 (2003) 1243–1250. Synthesis of an anionic hydride from monomeric silsesquioxanes is described. The novel compound, dubbed “silica hydride” is the result of several newly synthesized compounds from an interstitially embedded hydride family. It is a hydride-based compound with H− ions interstitially embedded in a matrix of caged silica. This compound exhibits profoundly different characteristics than other known compounds in the hydride family. Unlike saline hydrides, the silica hydride demonstrates no overt or violent reaction with water or air. However, it is capable of generating aqueous reductive potential readings (ORP) of −750 mV for extended time periods. In vitro biological testing demonstrated no cytotoxicity induced by the compound while demonstrating efficacy as an antioxidant. In vivo studies of the compound have shown that it has a significant ability to reduce lactic acid build up in muscles by one-half after exercise. The synthesis of the silica hydride resulted in an approximately 16.8% w/w hydride content, as determined by density changes, proton NMR spectroscopy and ion beam analyses. Scanning and tunneling electron microscopy, Rutherford backscattering spectroscopy (RBS), forward recoil (FReS) ion beam analyses, in addition to Fourier transform infrared spectroscopy, reduction potential and 29Si CP-MAS solid state NMR were additionally used to characterize the compound. Below relevant details from the article are provided to give insight into the science of the Megahydrate invention. Introduction: The idea behind synthesis of the novel compound described in this article is based on the use of a monomer nanocomposite as a carrier in a bioencapsulated compound. The synthesis uses a silica and hydroxyl group terminated silsesquioxane monomer, trademarked Silica Microclusters®, that is interstitially imbedded with hydride anions as conceptually depicted in Fig. 1. The results from the characterization of this compound provide evidence to this claim, including DRIFTS FTIR and NMR data. Figure 1. Conceptual diagram of Flanagan Microcluster structure. The tetrahedral coordination forms a three-dimensional framework by a series of Si–O–Si bonds, creating a silica cage. With the immense potential for bioencapsulates and nanocomposite technologies, it would be very beneficial to create a hydride out of a compound that would involve the combinational reducing effects of a saline hydride compound and the beneficial attributes of the host compound, all without the reactivity of the saline hydrides. Synthesizing a biologically friendly hydride would have immense potential as an antioxidant and radical scavenger as discussed later in this paper. It was discovered in the present work that if a hydride ionic plasma was placed under pressure, virtually any compound it came in contact with could then absorb its emitted ions. Since the 1920s, creating a hydride gas has been standard practice. One effective way is to add a current to a tungsten (W) lament in a hydrogen gas atmosphere. The lament separates hydrogen gas into a monovalent hydrogen gas while the photoelectric effect on the W lament donates electrons to the H gases forming a H− plasma. Langmuir, in 1927, while using the W lament hydride ion synthesis technique, discovered that moist air prevents hydride ions from recombining back into hydrogen gas. Figure 2. The Concept of Silica Hydride. Conceptually the hydride embedded organosiliceous silsesquioxane, or silica hydride, is a monomeric silica-based cage with interstitially placed hydride anions. As a bioencapsulated compound, the silica acts as a colloidal carrier for the hydrogen anions in solution. Details of Invention: The idea for this synthesis experiment was to then create a hydride plasma under a water vapor atmosphere and expose the plasma to an organosilicate compound, circumventing the problem of the hydrogen not having the catalysis or the electron availability to combine with the host substrate. Interestingly, Langmuir noted that the monoatomic ions produced by this process would become embedded in the glass walls of the tubing of his apparatus and that same tubing could later be induced to release the ions. The glass tubing used by Langmuir was a borosilicate glass, an amorphous siliceous compound. In the present study, an apparatus similar to what Langmuir used was constructed to create a plasma of H− ions. The H− atmosphere was applied to the pure Microcluster Silica powder under pressure and in the presence of a water vapor, creating a novel silsesquioxane bioencapsulated-hydride compound, dubbed: silica hydride. Materials and methods: A 1.0 L sealed glass vessel was fabricated containing the items as depicted in Fig. 3. Two 5 cm × 0:6 cm diameter W rods were positioned transversely 2 mm apart in the top of the reaction vessel with two insulated leads connecting the W rods to a 20 A constant-current transformer (Lambda-EMI 102A-1KV, Neptune, NJ). Ten grams of MicroclusterJ silica was placed on the stage inside the vessel with 100 ml of distilled and deionized water added to the basin. A steady stream of hydrogen gas was bubbled through an aquarium stone in water and introduced to the reaction vessel, purging all of the air from the vessel and increasing pressure to 172 kPa at which time the vessel was sealed. A 500 V potential was applied to the W rods. At voltages ranging from 350 to 750 V, a constant arc could be maintained between the electrodes without melting. The potential was applied for 30 seconds at which time the current was shut off and additional hydrogen was pumped into the vessel creating a captive plasma. The sample was allowed to sit in the plasma for 30 minutes at which time the silica sample was removed and weighed with an analytical balance. Figure 3. Synthesis Apparatus. The representation of the apparatus used to synthesize the compound. 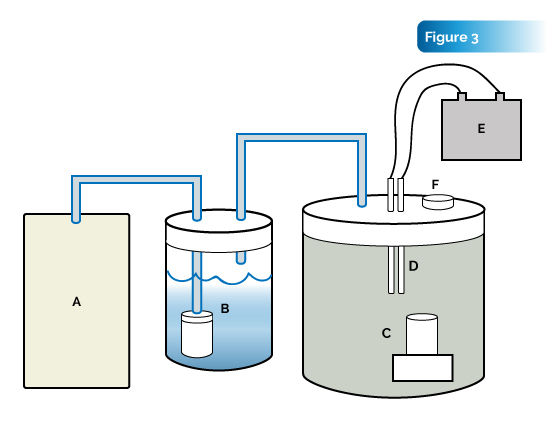 A hydrogen gas generator (A) provides H2 gas that is sparged through a fllter stone in deionized, distilled water (B), where the hydrogen gas and water vapor are transported into a reaction vessel (C) with the substrate. Two tungsten electrodes (D) create a captive plasma H− gas via a constant current high-voltage power supply (E). Vessel evacuation, purge and sealing were performed using a mechanical valve (F). The resultant actions interstitially embed the hydride anions created by the plasma into the substrate. Results: Determination of the mass of the anionic hydride organosiloxane sample showed an increase from 10.0 to 11.70 g upon exposure to the hydride plasma under pressure. The sample was allowed to sit at room temperature with desiccant in a glass vial for 3 weeks at open atmosphere at which time the proceeding analyses were performed. An ion beam analysis was performed with the silica powder being pressed into a pellet (1.66 g/cm3) compared to a control standard. Rutherford backscattering spectroscopy (RBS) was analyzed with 2 MeV He beam, while 3 MeV He beam was used in a forward-recoil spectrometry (FReS) measurement. RBS suggests that the powder contains elements O and Si. Including H- content by FReS, the powder relative percentage makeup becomes H (78.1%), O (15.6%) and Si (6.2%). Trace amounts of boron (B) and W (<25 ppm) were also observed. Original values from samples of non-reacted Microcluster silica comparatively illustrate an elemental makeup of H (22.4%), O (55.6%) and Si (21.9%). A 1H-NMR characterization was performed and showed a 16.8% hydride content. Scanning electron microscopy analysis with a 40 KeV-JEOL 840II microscope illustrated small, ∼ 2 microns, spheres consisting of numerous smaller spheres. A 300 KeV-CM30 transmission electron microscope allowed the resolution to image very small, spherical compounds that were measured to be about 50 Angstroms. An energy dispersive X-ray spectrometer qualified an elemental analysis of the compound to contain Si and O. The ORP and pH were recorded for 250 ml distilled and deionized water in a Pyrex beaker. 10.0 g/ml of the siliceous hydride was added to the beaker and allowed to stir for 15 min at which time addition ORP and pH readings were taken. The initial ORP and pH of the water averaged 341.33±2.5 mV and pH 7.12±0.06, respectively. The readings after 15 min were −436.21 ± 2.1 mV for the ORP and 9.13 ± 0.09 for the pH measurements. The hydrogen pressure unbiased reducing potential, rH, was calculated. The use of rH gives a hydrogen proton-unbiased look at the absolute reducing potential of a compound, eliminating the effects of pH in the ORP measurement. The measured rH for the compound was 11.02 ± 0.04 indicating a highly reduced environment. Discussion: The synthesis process appears to cluster the organosilicate subunits into hydrogen-bonded aggregates that further group into approximately 2 micron clusters as shown in Fig. 4A. Dissolution in water decreases the cluster size from 2 microns to the smaller subunits of about 500 nm, then into individual cages of about 50 A (Fig. 4B). This new organosilicate silsesquioxane compound, commonly named silica hydride, has been the subject of numerous tests involving reduction potential (ORP) and pH as well as being analyzed as an effective antioxidant. Adding a few mg to water will drop an ORP reading by −750 mV. A recent publication of a clinical study has illustrated the capability of this compound to significantly reduce lactic acid after exercise by 50%. Viability and cytotoxicity probes show that the silica hydride does not cause any decrease in intracellular esterase activity or otherwise induce a toxic cytoplasmic environment. There are a plethora of uses of a hydride-based compound such as silica hydride since it does not impose a direct negative effect to cellular viability and cytoplasmic health. 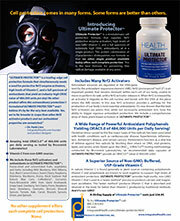 Particular uses include nutritional supplementation as an antioxidant. The incredible reduction potential of silica hydride adds to the possible uses of this type of compound. The compound does not react violently or visibly with H2O. However, it will reduce the ORP reading to −750 mV for a period of at least several weeks. Most antioxidant compounds are relatively large chemical species. Examples of this are vitamins A, K, C, ubiquinone and n-acetyl-l-cysteine. It is hypothesized that steric hindrances may affect the efficacy of antioxidants. The small size and reducing capacity of silica hydride, the silsesquioxane hydride compound, may lead to future development as an antioxidant. Conclusion: The novel siliceous compound acts as a colloidal carrier for the very small hydride anions that are released in an aqueous solution. This nanosized colloidal bioencapsulated compound could be an incredibly effective radical scavenger and aid in the reduction of oxidative stress due to its minimal size and high reduction potential. This novel compound presented in this paper has demonstrated promising in vitro and in vivo biochemical significance with uses including reducing agents, antioxidants and nutritional supplementation. The synthesis is simple and effcient with consistent results of about 17% w/w hydride content with respect to the starting compound. Biologically friendly compounds that incorporate health-beneficial minerals, such as silica, with the scavenging and reducing capabilities of a hydride provide for numerous possibilities of uses. 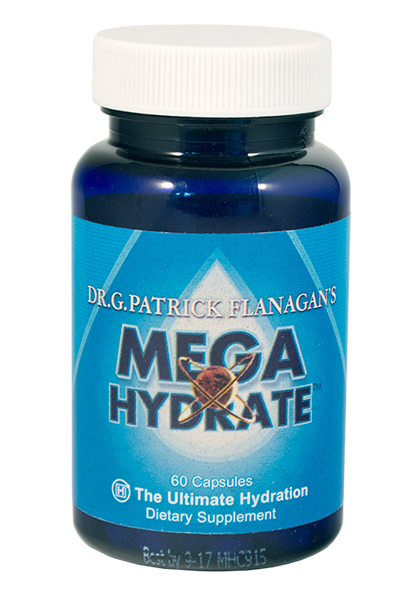 After inventing Megahydrate (formerly Microhydrin), Dr. Flanagan (and his associates) conducted studies on its efficacy for a range of benefits for human health. The material was then patented in 2003. Key elements of the patent are provided below and a link to the entire content is provided if you wish to read further details. The exact health benefits of silica hydride minerals, traditionally found in glacial streams, have long been the subject of speculation. 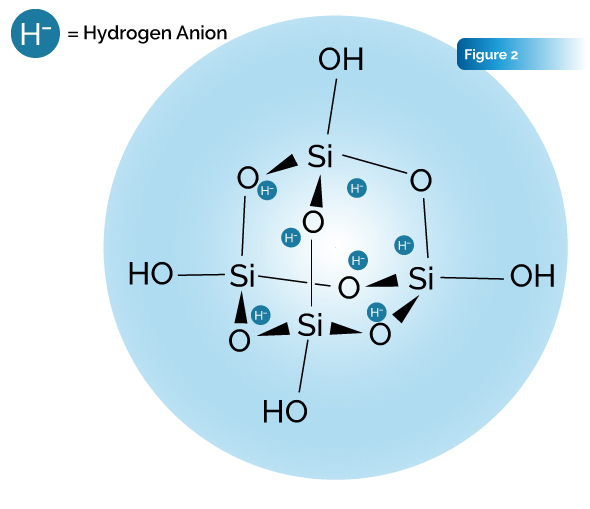 Geochemical analysis indicates that such colloidal silica hydrides in water possess a silica-water interface that provides a hydrated surface and adsorbs other elements or compounds such as potassium, iron, magnesium, lithium, calcium, and hydrogen. 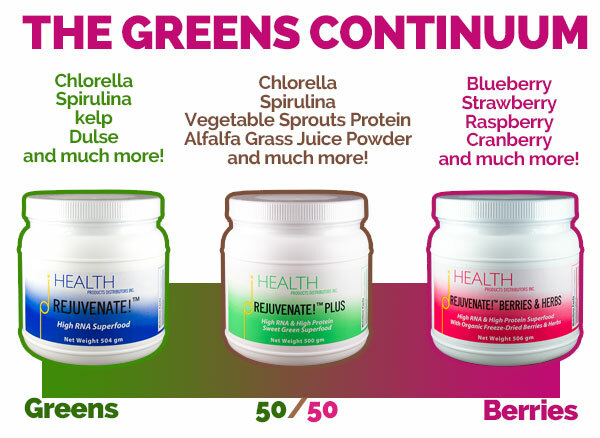 Dietary supplements with similar properties have been formulated. When the silica-water interface of such compounds is saturated with reduced hydrogen, the compounds take on an overall negative charge and act as a reducing agent or antioxidant when in solution. When consumed, hydride ions introduced into the body by the silica hydride supplement donate electrons to body fluids. With proper dosages, the benefits of consuming silica hydride include reduction of lactic acid build-up, increasing cellular hydration, reduction of free radical damage, enhancement of mitochondrial bioenergetic capacity, increasing antioxidant activity, and enhancing the properties of drinking water. This invention relates to methods of using silica hydride minerals. More particularly, this invention relates to methods of using silica hydride minerals that have beneficial effects on lactic acid buildup during exercise, cellular hydration, free radical damage, mitochondrial bioenergetic capacity, antioxidant activity, and the suitability of water for conversion into optimal cellular body fluids. 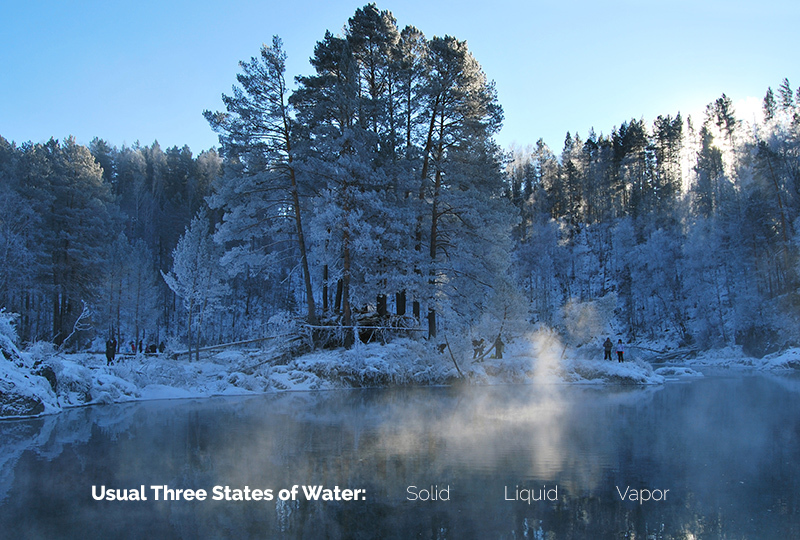 Amorphous silicate minerals, many of which are in the nanoparticle size range, were once common in natural water sources and abundant in glacial stream waters. 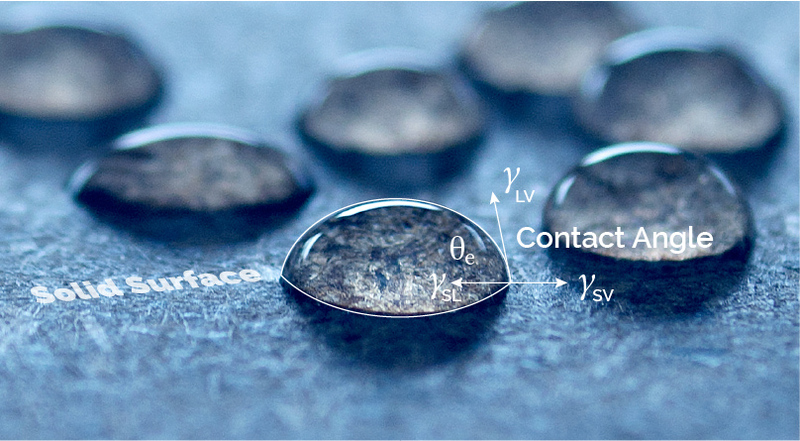 Not only do the silica mineral particles bond water and other elements for transport; they also can be adsorbed with reduced hydrogen, which releases electrons, providing antioxidant or reducing potential to surrounding fluids. In one region of West Pakistan the people are known to enjoy excellent health and amazing longevity. A team of cardiologists found the heart health of the people to be exceptionally good and evidence of the people’s delayed aging. The cardiologists attributed the good health and longevity in significant part to the abundance of colloidal silicate minerals in the glacial streams the people used for irrigation of food crops and drinking water. Geochemical analysis indicates that colloidal silicate minerals display a variety of properties, including the formation of structured water around the silica-water interface, which provides a hydrated surface that adsorbs elements or compounds such as potassium, iron, magnesium, lithium, calcium, and hydrogen. FIG. 5 illustrates an example of the silica-water interface and the concentric structured water arrangement about the interface with the adsorption of elements within the layers. Figure 5. 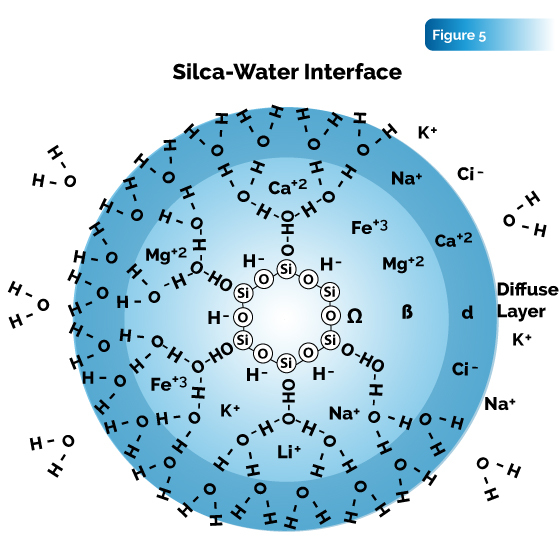 An enlarged view of a hypothetical silica hydride particle showing the silica-water interface and other adsorbed elements. From silicate analogs, it is possible to formulate dietary supplements that are similar to the colloidal silicate minerals found in glacial waters and retain the geo-physical properties inherent to these minerals. An example of such synthesized silicate analogs is a silica hydride formula sold under the trademark Microhydrin®. Substances possessing the characteristics and functions described in this application, such as Microhydrin®, have assumed many names. For example, in addition to being called silica hydrides, such substances are known as amorphous silicate minerals, silicate particles, silicates, colloidal silicate minerals, silicate analogs, synthesized silicate analogs, functional silicate nanocolloids, dielectric interstitial hydrides, dietary silicate supplements, or dietary silicate antioxidants. 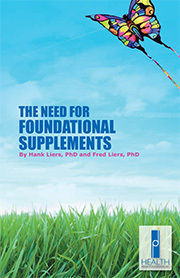 Considering the many labels afforded this class of substances, the characteristics and functions of supplements must necessarily determine whether a particular supplement falls within the class. Referring again to FIG. 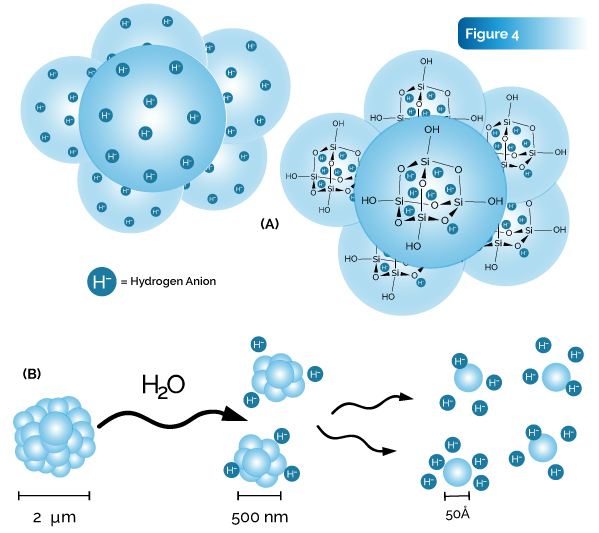 5, the particle’s silica-water interface can be saturated with reduced hydrogen, or hydride (H-) ions, and takes on an overall negative charge. In such cases, the particle then acts as a reducing agent or antioxidant when in solution (standard reduction-oxidation potential, −550 mV). It is capable of providing literally trillions of hydride ions able to donate electrons into body fluids. Electrons, which Albert Szent-Gyorgyi called the “fuel of life,” are abundantly available in inorganically grown raw vegetables, fruits, and grains, but are deficient in our modem diet of over-cooked, acidic, or highly oxidized foods, beverages, and drinking water. 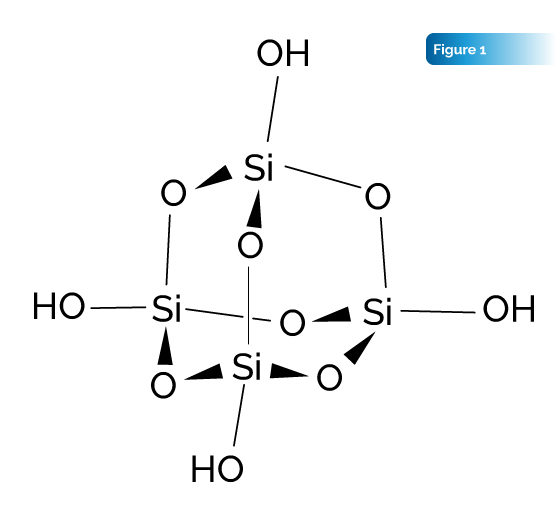 In silica hydride minerals, the structured water around the silica-water interface stabilizes electron transfer. Such specific silicate interactions could play a substantial role in many biological processes by enhancing salvation properties and ion and water transport and by providing free radical antioxidant protection. 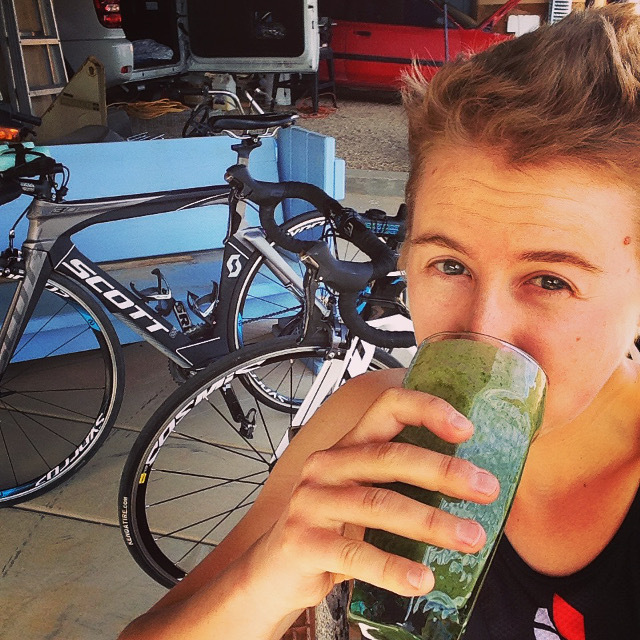 Such electron deficiencies resulting from inadequate diet have a derogatory impact on specific biological processes such as lactic acid build-up, cellular hydration, damage from free radicals, mitochondrial bioenergetic capacity, antioxidant activity, and suitability of drinking water for conversion into optional cellular body fluids. Therefore, a need exists for a method of counter balancing these electron deficiencies and, as a result, enhancing each of these biological phenomena. 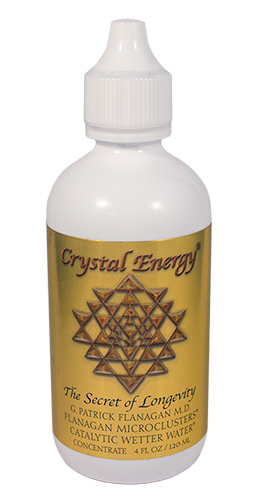 The present invention identifies certain beneficial health effects of silica hydride minerals and the effective doses necessary to achieve desired results. With proper dosages, the benefits of using silica hydride minerals as a dietary supplement include: reduction of lactic acid buildup during and after exercise, increasing cellular hydration, reduction of free radical damage, enhancement of mitochondrial bioenergetic capacity, increasing antioxidant activity, and enhancing the suitability of water for conversion into optimal cellular body fluids. 1. A method of reducing lactic acid buildup during and after exercise comprising ingesting an effective dose of silica hydride mineral. 2. A method of increasing cellular hydration comprising ingesting an effective dose of silica hydride mineral. 3. A method of reducing free radical damage comprising ingesting an effective dose of silica hydride mineral. 4. A method of enhancing mitochondrial bioenergetic capacity comprising ingesting an effective dose of silica hydride mineral. 5. A method of increasing antioxidant activity comprising ingesting an effective dose of silica hydride mineral. 6. A method of making water more suitable for conversion into optimal extracellular and intracellular body fluids comprising ingesting water mixed with an effective dose of silica hydride mineral. 7. A method of improving the characteristics of body fluids, such as saliva pH, saliva rH2, blood resistivity, urine resistivity, urine pH, urine rH2, and saliva resistivity comprising ingesting an effective dose of silica hydride mineral. Ultimate Protector™ contains freeze dried cranberry, as well as components from 29 different fruits, vegetables, and herbs. 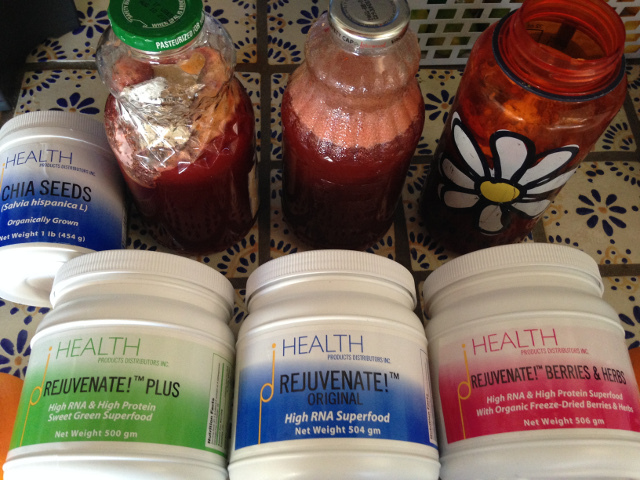 Each of these ingredients contain substances that may be considered to be polyphenols, antioxidants, and Nrf2 activators. In this article I explore the ingredient strawberries, which is a component of VitaBerry Plus® from Futureceuticals. Cranberries (Vaccinium macrocarpon) are native to the boggy regions of temperate and subalpine North America and Europe. Although Native Americans used them extensively, they were first cultivated in the U.S. in the early 19th century. Cranberries grow on viney plants belonging to the heath family Ericaceae that also includes blueberries, bilberries, huckleberries, and bearberries (Arctostaphylos uva ursi). Cranberries contain tannins, fiber, anthocyanins (and other flavonoids), and Vitamin C. Their tannins prevent bacteria from attaching to cells. 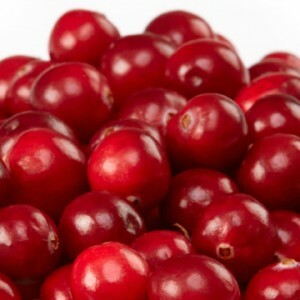 Consequently, cranberries have been used against infections, including urinary tract infections. In addition, cranberries may be helpful in protecting against heart disease and stroke. Here is a list of the antioxidant and anti-inflammatory phytonutrients in found in cranberries. Cranberries hold significantly high amounts of phenolic flavonoid phytochemicals called oligomeric proanthocyanidins (OPC’s). 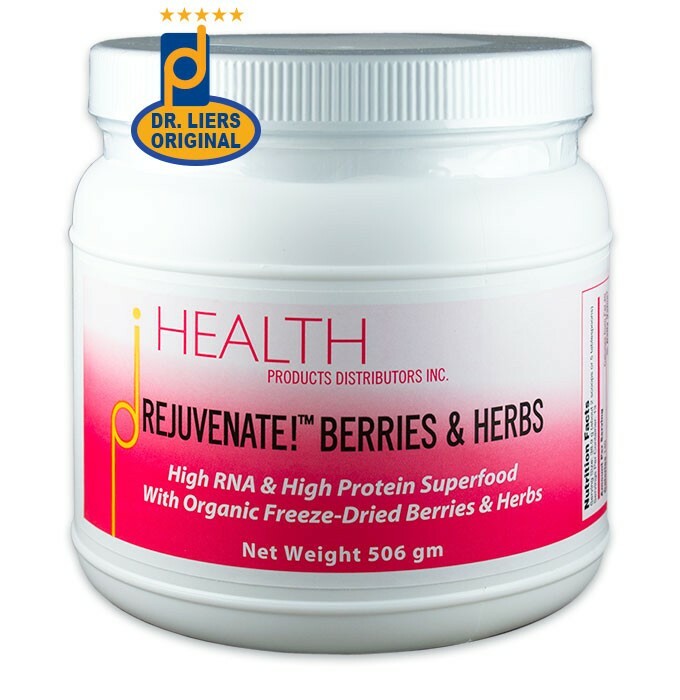 Scientific studies have shown that consumption of the berries have potential health benefits against cancer, aging and neurological diseases, inflammation, diabetes, and bacterial infections. Antioxidant compounds in cranberries including OPC’s, anthocyanidin flavonoids, cyanidin, peonidin and quercetin may prevent cardiovascular disease by counteracting against cholesterol plaque formation in the heart and blood vessels. Further, these compounds help the human body lower LDL cholesterol levels and increase HDL-good cholesterol levels in the blood. Scientific studies show that cranberry juice consumption offers protection against gram-negative bacterial infections such as E.coli in the urinary system by inhibiting bacterial-attachment to the bladder and urethra. In is known that cranberries turns urine acidic. This, together with the inhibition of bacterial adhesion helps prevent the formation of alkaline (calcium ammonium phosphate) stones in the urinary tract by working against proteus bacterial-infections. In addition, the berries prevent plaque formation on the tooth enamel by interfering with the ability of the gram-negative bacterium, Streptococcus mutans, to stick to the surface. In this way cranberries helps prevent the development of cavities. The berries are also good source of many vitamins like vitamin C, vitamin A, ß-carotene, lutein, zea-xanthin, and folate and minerals like potassium, and manganese. 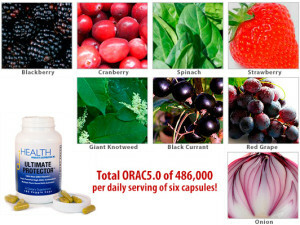 Oxygen Radical Absorbance Capacity (ORAC) demonstrates cranberry at an ORAC score of 9584 µmol TE units per 100 g, one of the highest in the category of edible berries. Below, I provide relevant scientific studies on the antioxidant effects and potential health benefits of cranberries. Prevention of oxidative stress, inflammation and mitochondrial dysfunction in the intestine by different cranberry phenolic fractions. Cranberry fruit has been reported to have high antioxidant effectiveness that is potentially linked to its richness in diversified polyphenolic content. The aim of the present study was to determine the role of cranberry polyphenolic fractions in oxidative stress (OxS), inflammation and mitochondrial functions using intestinal Caco-2/15 cells. The combination of HPLC and UltraPerformance LC®-tandem quadrupole (UPLC-TQD) techniques allowed us to characterize the profile of low, medium and high molecular mass polyphenolic compounds in cranberry extracts. The medium molecular mass fraction was enriched with flavonoids and procyanidin dimers whereas procyanidin oligomers (DP > 4) were the dominant class of polyphenols in the high molecular mass fraction. Pre-incubation of Caco-2/15 cells with these cranberry extracts prevented iron/ascorbate-mediated lipid peroxidation and counteracted lipopolysaccharide-mediated inflammation as evidenced by the decrease in pro-inflammatory cytokines (TNF-α and interleukin-6), cyclo-oxygenase-2 and prostaglandin E2. Cranberry polyphenols (CP) fractions limited both nuclear factor κB activation and Nrf2 down-regulation. Consistently, cranberry procyanidins alleviated OxS-dependent mitochondrial dysfunctions as shown by the rise in ATP production and the up-regulation of Bcl-2, as well as the decline of protein expression of cytochrome c and apoptotic-inducing factor. These mitochondrial effects were associated with a significant stimulation of peroxisome-proliferator-activated receptor γ co-activator-1-α, a central inducing factor of mitochondrial biogenesis and transcriptional co-activator of numerous downstream mediators. Finally, cranberry procyanidins forestalled the effect of iron/ascorbate on the protein expression of mitochondrial transcription factors (mtTFA, mtTFB1, mtTFB2). Our findings provide evidence for the capacity of CP to reduce intestinal OxS and inflammation while improving mitochondrial dysfunction. Oxidative stress and reactive oxygen species (ROS)-mediated cell damage are implicated in various chronic pathologies. Emerging studies show that polyphenols may act by increasing endogenous antioxidant defense potential. Cranberry has one of the highest polyphenol content among commonly consumed fruits. In this study, the hepato-protective activity of a cranberry juice (CJ) and cranberry extract (CE) powders against oxidative stress was screened using HepG2 cells, looking at ROS production, intracellular non-enzymatic and enzymatic antioxidant defenses by reduced glutathione concentration (GSH), glutathione peroxidase (GPx) and glutathione reductase (GR) activity and lipid peroxidation biomarker malondialdehyde (MDA). Involvement of major protein kinase signaling pathways was also evaluated. Both powders in basal conditions did not affect cell viability but decreased ROS production and increased GPx activity, conditions that may place the cells in favorable conditions against oxidative stress. Powder pre-treatment of HepG2 cells for 20 h significantly reduced cell damage induced by 400 μM tert-butylhydroperoxide (t-BOOH) for 2 h. Both powders (5–50 μg/ml) reduced t-BOOH-induced increase of MDA by 20% (CJ) and 25% (CE), and significantly reduced over-activated GPx and GR. CE, with a significantly higher amount of polyphenols than CJ, prevented a reduction in GSH and significantly reduced ROS production. CJ reversed the t-BOOH-induced increase in phospho-c-Jun N-terminal kinase. This study demonstrates that cranberry polyphenols may help protect liver cells against oxidative insult by modulating GSH concentration, ROS and MDA generation, antioxidant enzyme activity and cell signaling pathways. It is known that cranberry inhibits the growth of Helicobacter pylori (HP). In human stomach, HP basically induces chronic inflammation by stimulating stomach cells to secrete interleukin (IL)-8 and other inflammatory cytokines, and causes stomach cancer, etc. The aim of this study was to investigate the inhibiting effects of cranberry on HP growth and IL-8 secretion from stomach cells induced by HP, using clinically separated HP strains. HP growth in liquid culture and on-plate culture was evaluated by titration after 2-day incubation and by agar dilution technique, respectively. For IL-8 experiments, MKN-45, a stomach cancer cell line, was incubated with HP for 24 h and IL-8 in the medium was assayed by ELISA. Cranberry suppressed growth of the bacteria only in six of the 27 strains. Meanwhile, it suppressed IL-8 secretion in all the strains. The results may suggest a possible role of cranberry in prevention of stomach cancer by reducing gastric inflammation. Increased oxidative stress in obese diabetes may have causal effects on diabetic complications, including dyslipidemia. Lipopolysccharides (LPS) along with an atherogenic diet have been found to increase oxidative stress and insulin resistance. 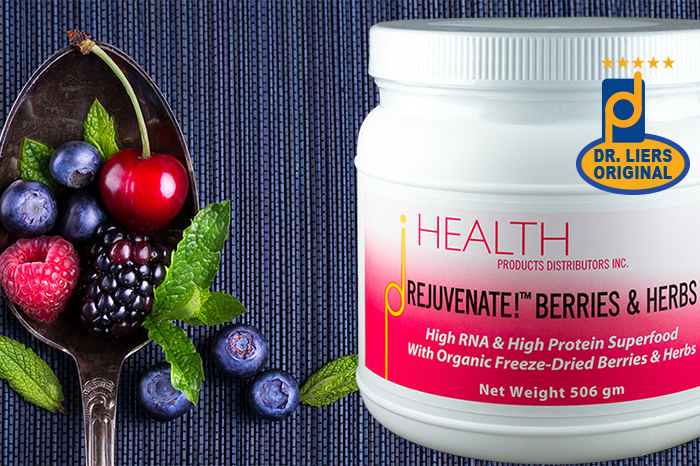 Cranberry has been recognized as having beneficial effects on diseases related to oxidative stress. Therefore, we employed obese diabetic animals treated with an atherogenic diet and LPS, with the aim of examining the effects of cranberry powder (CP) on diabetic related metabolic conditions, including lipid profiles, serum insulin and glucose, and biomarkers of oxidative stress. Forty C57BL/KsJ-db/db mice were divided into the following five groups: normal diet + saline, atherogenic diet + saline, atherogenic diet + LPS, atherogenic diet + 5% CP + LPS, and atherogenic diet + 10% CP + LPS. Consumption of an atherogenic diet resulted in elevation of serum total cholesterol and atherogenic index (AI) and reduction of high density lipoprotein (HDL)-cholesterol. However, with 10% CP, the increase in mean HDL-cholesterol level was close to that of the group with a normal diet, whereas AI was maintained at a higher level than that of the group with a normal diet. LPS induced elevated serum insulin level was lowered by greater than 60% with CP (P < 0.05), and mean serum glucose level was reduced by approximately 19% with 5% CP (P > 0.05). Mean activity of liver cytosolic glutathione peroxidase was significantly increased by LPS injection, however it was reduced back to the value without LPS when the diet was fortified with 10% CP (P < 0.05). In groups with CP, a reduction in mean levels of serum protein carbonyl tended to occur in a dose dependent manner. Particularly with 10% CP, a reduction of approximately 89% was observed (P > 0.05). Overall results suggest that fortification of the atherogenic diet with CP may have potential health benefits for obese diabetes with high oxidative stress, by modulation of physical conditions, including some biomarkers of oxidative stress. Cranberries are an important fruit full of polyphenols, anthocyanins, antioxidants, and Nrf2 activators that help to make Ultimate Protector such an outstanding nutritional supplement.